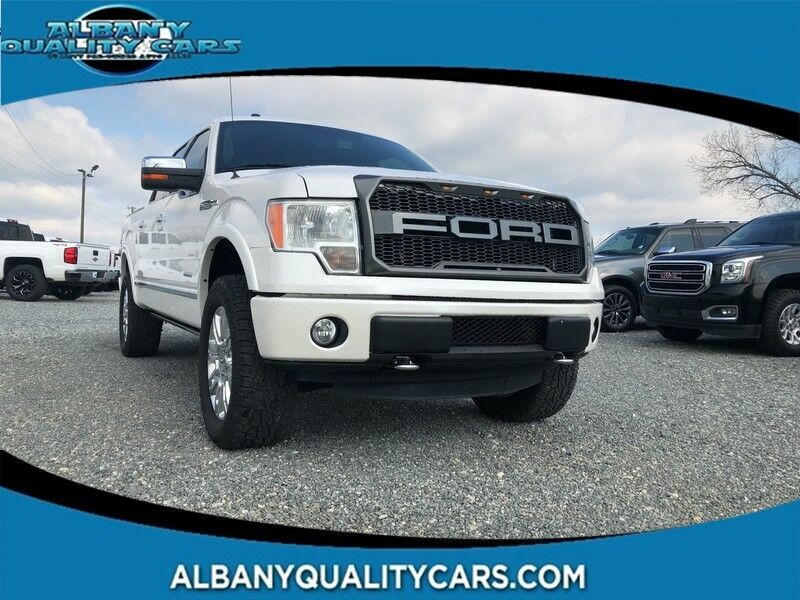 Albany Quality Cars has a wide selection of exceptional pre-owned vehicles to choose from, including this 2012 Ford F-150. Opulent refinements married with exceptional engineering make this the kind of car you'll want to own for a lifetime. With 4WD, you can take this 2012 Ford F-150 to places roads don't go. It's all about the adventure and getting the most enjoyment out of your new ride. Surprising quality accompanied by a high level of performance...this White on Brown Or Taupe Ford F-150 Platinum could end up being the perfect match for you. More information about the 2012 Ford F-150: Ford claims class-leading fuel economy, as well as best-in-class towing and horsepower for both its base V6 engine as well as both of the available V8s. Ford also says that it's the only automaker to offer a 6-speed automatic transmission across its entire model lineup. The F-150 is also the only full-size pickup so far to offer electric power steering, which saves fuel and gives an improved steering feel. Across the lineup, the F-150 carries through with the full redesign that the truck received for 2009; since then, the F-150's very purposeful, upright instrument panel and vastly upgraded interior materials have stood out in this very competitive class. And with the new 36-gallon fuel tank, the F-150's 750-mile driving range puts it in a class by itself. Interesting features of this model are class-leading towing and payload capacities, wide range of models for all budgets, tastes, and needs, available luxury features, fuel efficiency, and Smooth, strong new powertrain lineup "OUR LOW OVERHEAD ALLOWS US TO SELL FOR LESS"